More than a month after Super Typhoon Haiyan hit the Philippines, operations on the ground remain in the relief and response phase instead of rehabilitation and recovery, with several areas still unreached by aid groups and comprehensive damage assessment still unfinished. To address these needs, several NGOs on the ground in Tacloban, the “ground zero” of the catastrophe, have been using unmanned aerial vehicles to further improve their operations — something they hope would be a standard in disaster risk reduction efforts in the future. But can drones truly become standard operation procedure in humanitarian crises? Experts consulted by Devex believe so, although they do admit mass use of these devices will have to overcome serious challenges, like their relatively high price and legal issues over privacy and sovereignty rights. Drones are controlled remotely and use advanced technologies — including global positioning system, thermal imaging and live video streaming — for better disaster assessment. In Tacloban, Danish firm Danoffice IT, which has been providing drones to U.N. agencies and several NGOs involved in the relief and response operations, said faster disaster assessment means faster disaster response, which, ultimately, saves lives. The first few hours after disasters are the most crucial moments for disaster response, particularly in search and rescue operations. But poor assessment of the affected areas can significantly reduce the effectiveness of these operations and even endanger aid workers. Drones can be deployed for immediate assessment of disaster situations, providing detailed information to first-responders like local governments and humanitarian groups. Information is key to disaster response and mobilization. One of the main reasons why disaster relief and response operations in the Visayas took so long was the relatively slow assessment of the area. Aid was ready to be deployed, but the problem was figuring where to distribute the goods and how. Following the initial assessment phase, the information gathered will prove helpful in crafting an effective strategic plan in responding to disasters. Scores of international aid groups and partner governments have continually extended their help to the country given the scale of devastation Haiyan brought — including the information gathered by the drones in the plans will make relief and response operations more effective. “This ability really helped to speed up [relief] efforts, cut down on wasted time and work, and make them more accurate in their targeting of assistance,” noted Andrew Schroeder, research and analysis director for U.S.-based Direct Relief, one of the NGOs using Huginn X1 drones in the Haiyan relief operations. A member of the umbrella organization NetHope, Direct Relief conducted aerial assessments of the disaster areas as well as assisted in aid delivery and distribution through information. 3. Search and rescue operations. A month after the onslaught of Haiyan, dead bodies are still being recovered in disaster areas, with some fearing a number of these people died days after the storm hit due to lack of aid. 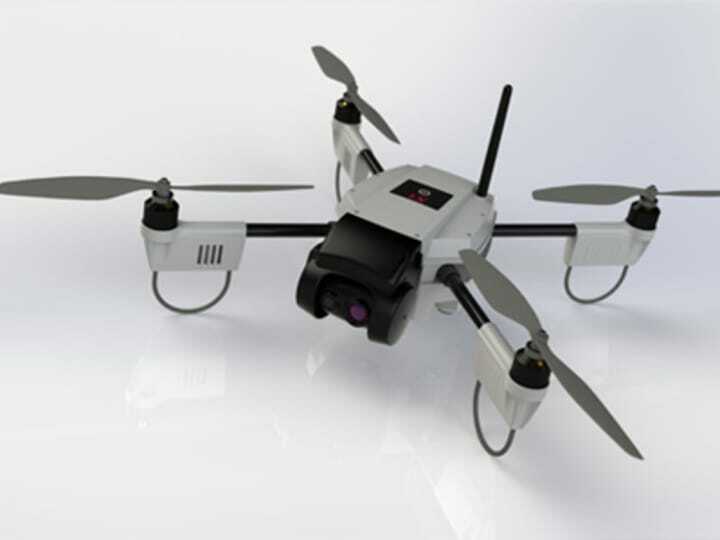 The Huginn X1 drone, according to De Rosbo, is equipped with high-definition video and is capable of providing a live feed for the controller, making assessment and response real-time. The device can also produce thermal images, essential for finding people alive during the search and rescue operations. Another very important area where drones can be very useful in disaster response is ensuring the security and safety of aid workers. Humanitarians deployed on the ground are not immune to the kinds of hazards disaster victims face. They are humans too, and susceptible to these threats. Days after the storm, reports of looting in disaster areas were rampant due to hunger and desperation, while a number of local rebel groups wreaked havoc in the ravaged communities. Drones can help identify these threats. Despite the existence of the technology, drones such as the Huginn X1 are still not widely used by humanitarian groups and even governments of countries that are vulnerable to natural disasters. Several obstacles remain in the mass usage of the technology, including economic viability and legal regulations. Another issue is the legal requirements needed for unmanned aerial vehicles to conduct massive mapping and hazard assessments in order to not breach privacy rights, one of the main reasons the United States has been severely criticized over its use of drones. Schroeder explained: “We could have used such wide area mapping to complement the [drones], and were offered access by [the UNITAR Operational Satellite Applications Program] on the condition that we were able to secure government approval of the use of this type of mapping technology. And right there was where we ran into … a problem.” UNOSAT is a program of the United Nations Institute for Training and Research. As stronger and more intense natural disasters are expected to affect the world, disaster preparation and response mechanisms of countries should be escalated.